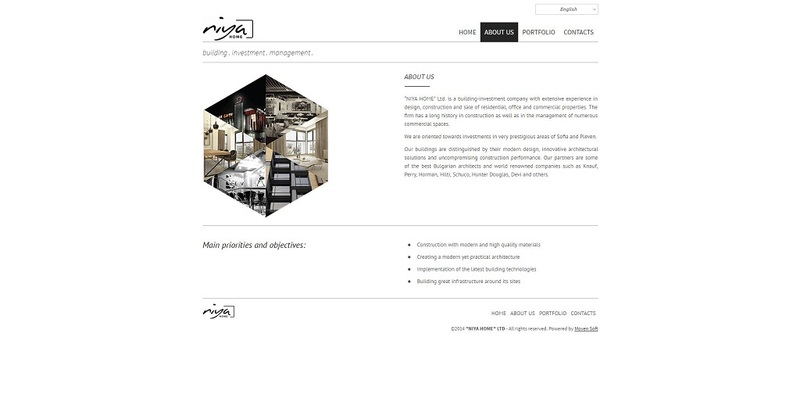 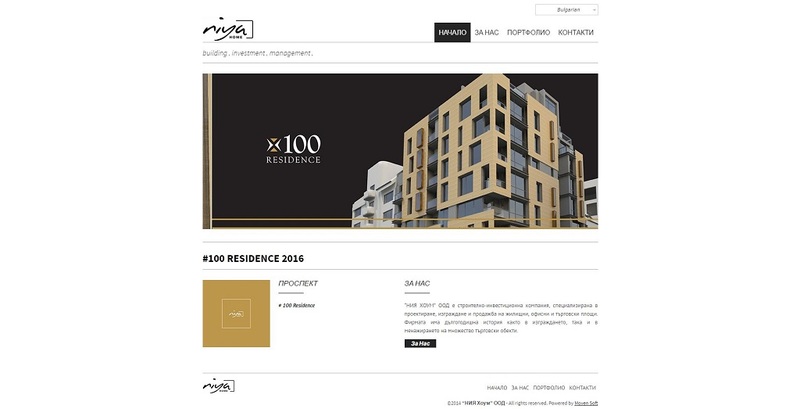 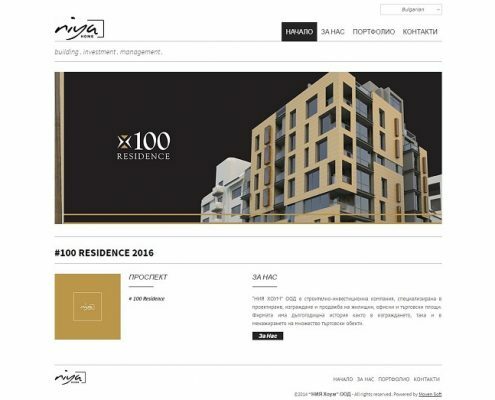 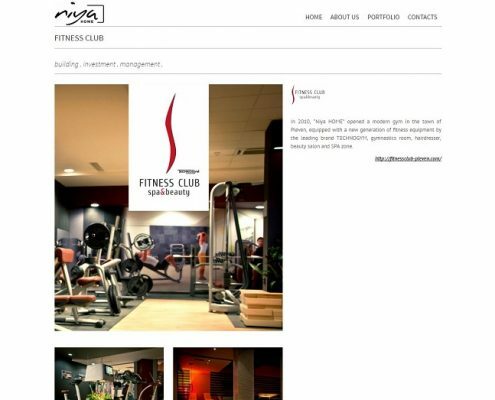 Niya Home | Moven Soft - Web design, SEO optimization. 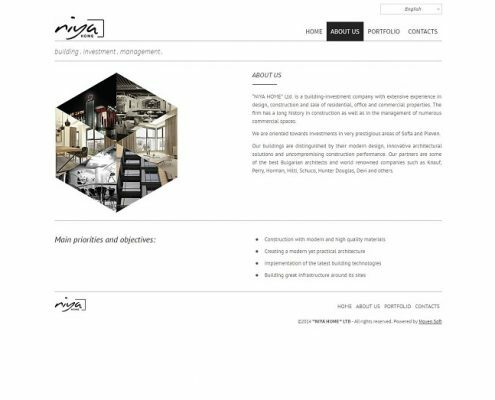 “NIA HOME” Ltd. is a construction and investment company specializing in the design, construction and sale of residential, office and retail space. 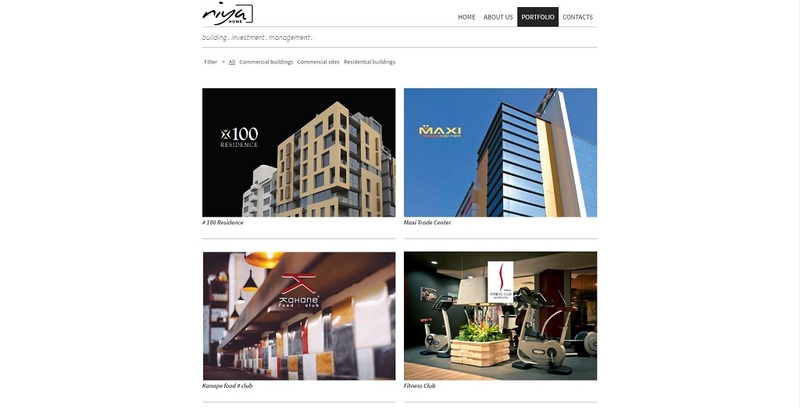 The company has a long history both in construction and in managing the many shops. 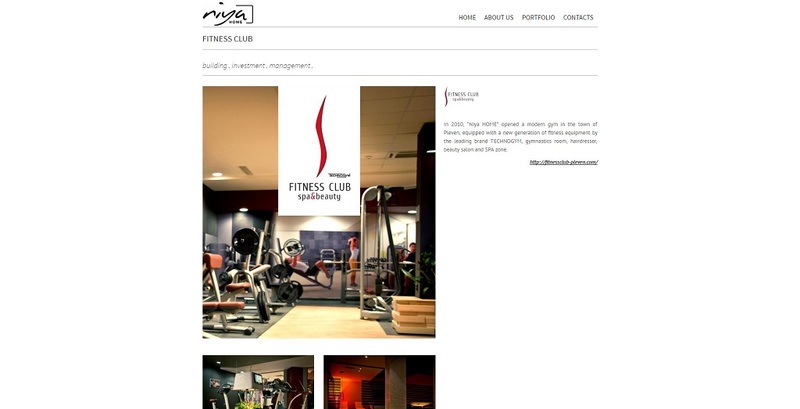 The company policy is oriented towards investments in highly prestigious locations in Sofia and Pleven. 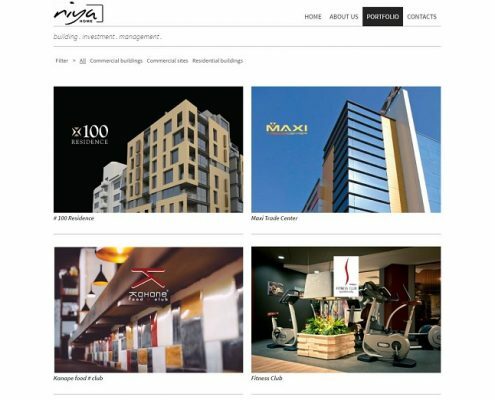 Our buildings are distinguished by their modern design, innovative architectural solutions and uncompromising construction execution.